Start sitting in a chair with your back supported. 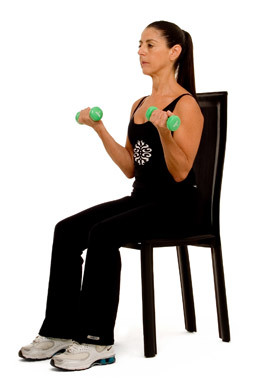 Hold small weights in both hands, arms parallel to the ground, elbows flexed at 90 degrees. Proceed to raise the hands up, bringing the weights close to your chest. Resume the starting position. Repeat 5-10 times.